Chrome will default to pausing Flash ads today. 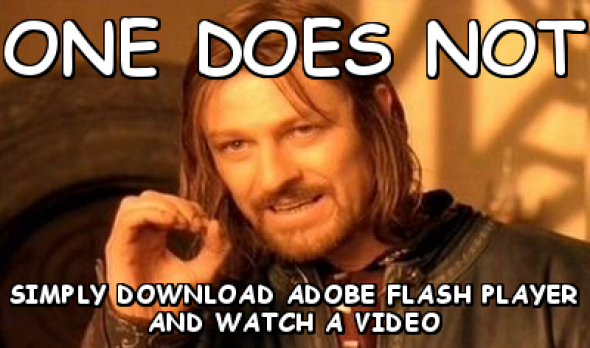 Adobe Flash Player has been plagued by security issues and instability, and finally the tide is turning against it. In July Mozilla blocked Flash on Firefox, and now Google is doing the same for Chrome, which will have an even bigger impact, since Chrome is a much more popular browser. Spotted by TechCrunch, Google posted on the AdWords Google+ last week that Chrome will will strongly favor HTML5 ads and begin pausing most Flash ads by default starting Tuesday. That’s today! That’s it. In one fell swoop Google is taking the step we’ve all been waiting for. And with other companies like Amazon on board, too, this might actually happen. Eliminating all Flash Player components will probably still be a little bit of a whack-a-mole situation for a while, but if we lean on each other and believe, anything is possible.